Damien Kayat takes a look at this week's tri-sanctioned SA Open event set to take place at the Randpark Golf Club in Johannesburg, South Africa. The SA Open shares the distinction of being the second longest running national open, with only the Open Championship boasting a prouder heritage. While the Open dates back to 1860, the SA Open was first staged way back in 1893. The prestige of the event has been dented quite severely recently, with the tournament actually struggling for sponsorship this season. In fact, this event will essentially assimilate the now-defunct Joburg Open into its makeup. The last Joburg Open was staged at Randburg last year. This will be the second SA Open of the year, with Glendower hosting the event in January. Randpark Golf Club hosted the Joburg Open last December, though wet conditions really made that event a turkey shoot: Shubhankar Sharma won with a score of 23 under par. The event will be split over two courses, with players alternating between Bushwillow and Firethorn over the first two days. The far more challenging Firethorn course will then host the weekend activity. Recent history seems to suggest that driving distance is actually preferable to accuracy this week while scrambling could figure highly. Expect typically tree-lined affairs with firm, rolling fairways: Firethorn is actually quite a monster at a scratch over 7,500 yards. This event obviously had issues keeping pace as the golfing spectrum evolved. 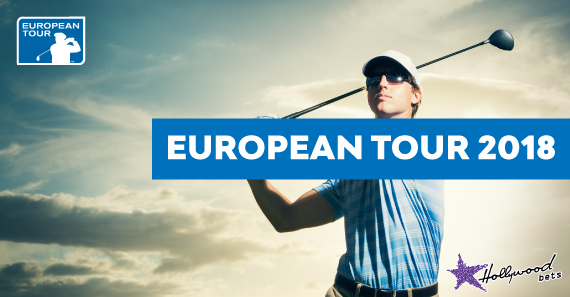 It is now a co-sanctioned event between the European, Asian and Sunshine Tour. It has a massive 240 man field this week and it will be headlined by a few notable South Africans. Major Champions such as Louis Oosthuizen and Charl Schwartzel headline the field. Matt Wallace has been a multiple winner this season and will look to add to that this week. Traditionally this was always seen as a favourable event for the locals. However, a resurgence by overseas players has seen five non-South Africans capture this title in the last six seasons. Thomas Aiken will be looking to utilize that reliable fade to great effect this week. The unpredictable Aiken has actually strung together a series of pleasing results of late. He has picked up four top 25’s over the last six weeks. Encouragingly, Aiken finished sixth for Greens in Regulation in Mauritius. That is traditionally the part of his game that is most mercurial. He finished fifth in this event last year and has four top five finishes in six SA Open starts. Generally speaking, his South African form is excellent. He has four top 10’s in the now defunct Joburg Open plus a string of pleasing results at the Tshwane Open. Scott Vincent tied for fourth at Glendower during last year’s edition of the SA Open. The Zimbabwean actually has decent South African credentials, having finished 13th in March’s Tshwane Open. He had a decent finish here in last year’s Joburg Open, ultimately sharing 30th place. He is also in particularly decent form on the Asian-Korea Tours, with three second-place finishes in his last 12 starts. Vincent could represent great value in this poor, if gargantuan field. To my mind, the up and coming Van Rooyen represents terrific value at 30/1 in this field, especially with the likes of Oosthuizen fancied at a rather short 7/1. Van Rooyen hits the ball a mile and should be a factor here. Van Rooyen was runner-up around this layout 12 months ago. He enjoyed a breakthrough season, with a fourth at the Irish Open and a fifth at the Made in Denmark event. He was in contention at the Open before closing poorly to ultimately finish 17th. The 28-year-old was 26th last time out in Dubai and looks set to have a great week.